Faced with a growing number of jihadist attacks in central Mali which have also hit neighbouring Burkina Faso and Niger, the so-called G5 Sahel nations have moved to set up a regional force to tackle the threat. The aim is to combat the wave of Islamist bombings, shootings and kidnappings in the Sahel, the region just south of the Sahara. Nusrat al-Islam wal Muslimeen – an alliance of Al-Qaeda-allied Sahel groups – on Saturday (1 June) offered a reminder of the jihadist threat by releasing a proof-of-life video of six foreign hostages. Joining the heads of state of Burkina Faso, Chad, Mali, Mauritania and Niger at a summit in Bamako, Macron hailed the initiative as “a dynamic, a groundswell which France is proud to back”. The force, which will initially count some 5,000 troops, will begin its operations in Mali, Burkina Faso and Niger with Macron saying he wants it to be operational by the end of August. “The important thing is that the joint force be fully operational by autumn, with the initial funds unlocked… and exhibit first signs of success,” he said. With a base in Sevare in central Mali, the force will work alongside France’s 4,000-strong Operation Barkhane as well as with MINUSMA, the UN peacekeeping operation in Mali. At a news conference with Macron, Malian President Ibrahim Boubacar Keita said the leaders had agreed on a budget of €423 million. “Each of our states will make a €10 million contribution,” he said, noting that the question of funding had taken precedence at the closed-door talks. The European Union has already made an initial €50 million pledge which Macron said was “the start of a long-term commitment”. On 21 June, the UN Security Council adopted a resolution backing the joint counterterror operation. 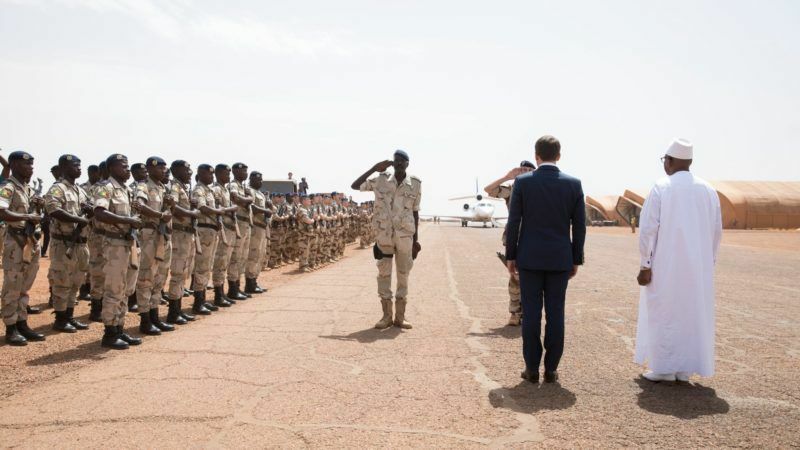 “This is a major step for Sahel security, essential in our eyes,” Macron told a crowd of French expatriates in Bamako on Sunday. Macron is also hoping for extra support from Germany, the Netherlands, Belgium and the United States, and said he hoped it would be possible to make a French-German funding commitment after talks in Paris on 13 July. Although Chad’s military is widely viewed as the strongest of the five Sahel nations, President Idriss Deby has said his country cannot afford to mobilise large numbers of troops simultaneously for the UN peacekeeping mission and also in the new force. 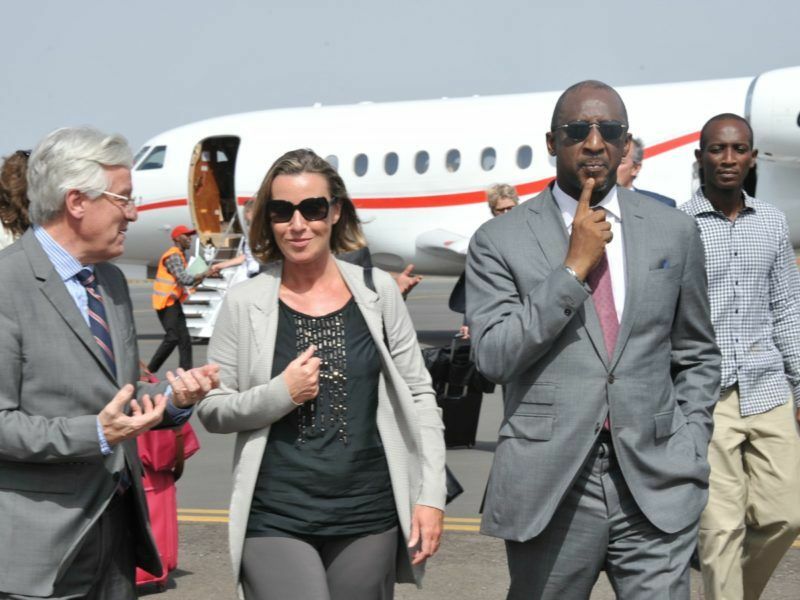 Deby and Macron also discussed the financial issue on the sidelines of the Bamako summit, with the French and Malian leaders both saying the Chadian president had been reassured by the talks. France intervened in Mali 2013 to chase out Al-Qaeda-linked jihadists who had overtaken key northern cities. A year later, that mission evolved into Operation Barkhane with an anti-terror mandate stretching across the Sahel. The new Sahel force will support national armies trying to catch jihadists across porous frontiers, and its operations will be closely coordinated with Barkhane, a source in the French presidency told AFP. Analysts have compared the new force with the Multinational Joint Task Force battling Boko Haram in the Lake Chad region, comprising troops from Benin, Cameroon, Chad, Niger and Nigeria. But the G5 Sahel force will face other problems, with the inherent weakness of the armed forces in Burkina Faso and Mali, while Chad and Niger are already engaged on multiple fronts, said Rinaldo Depagne of the International Crisis Group. The three-nation border of Liptako-Gourma between Burkina, Mali and Niger, will become a “laboratory” where French forces will work with them before bringing Chad and Mauritania into the mix, he predicted. The G5 Sahel force’s top commander, Malian general Didier Dacko, has said each country’s contingent would initially operate on its own soil and gradually shift focus to their mutual borders.